San Francisco Cosmetic Dentist Dr. Edward L. Loev, DMD has made tons, probably 5000+ night guards, TMJ and snoring appliances over his 40+ year dental career. More often than he’d like to admit, he says” I see them back for their three or six month check-up and when asked they tell me that they haven’t been wearing their appliance. It is on a bedside table or drawer gathering dust.” Sadly, I was one of those patients even though I had worked in the dental office for years and had seen the benefits of being compliant with my appliance I just didn’t like wearing it. “I always feel like a bit of a failure when my patients or employees tell me this, says Dr. Loev. Patients usually spent a good deal of money on the appliance and aren’t getting any benefit out of it.” After my last check-up and my admission to the good doctor that one of his longest term employees doesn’t wear her night guard we decided to write this post to try and help other people to get over the initial hurdles and protect their mouths. Changing habits and starting new routines is hard, even if you know that is it’s the right thing to do. We reviewed the most common complaints that we heard and came up with some tips to make the process easier. Here are some ways that you can make this an easier process so that you don’t end up one of those people who wasted money on a dental appliance. Most patients tell us that they only tried for a couple of nights before giving up. Their most common reasons why they don’t wear it? They find it across the room, under their bed or on night stand in the morning but don’t remember taking it out. People are worried when they feel pushing on their teeth that their teeth will move. 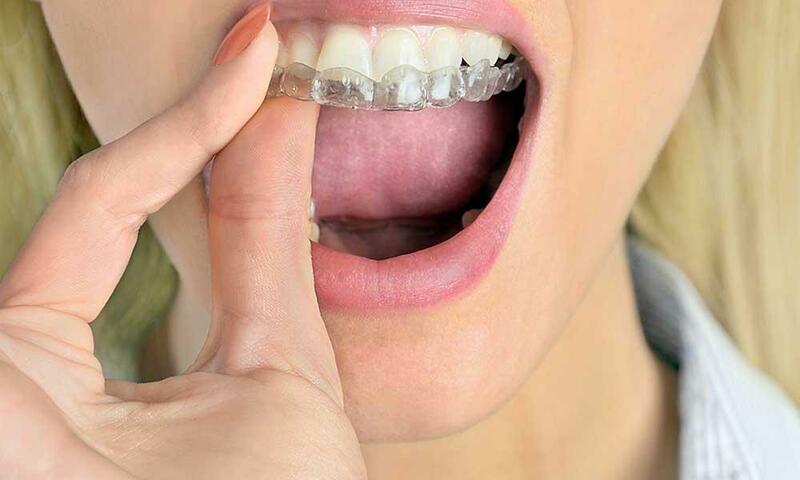 Fortunately, unless you are wearing an orthodontic device or an Invisalign aligner movement is very unlikely. That “tight shoe” feeling is actually a good sign that it fits well to your teeth and that it will stay in while you sleep. Most of the new generation night guards use a special material that is actually quite pliable on the inside while maintaining its rigidity on the outside. Dr. Loev suggests running your appliance under warm/hot water for about a 30 seconds to a minute prior to placing in your mouth (make sure it’s not too hot). The interior material turns almost into a gel making it much more comfortable to place in your mouth and creating a more comfortable fit every night. If after trying this for a few nights it still feels really tight and or a single or couple of teeth feel sore and its unbearable make an appointment with your dentist to check the fit and see of an adjustment might be necessary. Remember, tight is good when it comes to this type of appliance. It helps it to stay in one’s mouth when sleeping and better protects teeth. I agree with you! When I first start wearing a night guard it absolutely uncomfortable. Sticking a hard piece of plastic in your mouth is unnatural and new. It takes time to make an adjustment, remember two weeks on average for most people to get used to it. Our brains are amazing and they have this ability to block out sensations that are familiar. If you stick with it and wear it at night, or for some of us during the day when needed, your brain will eventually get used to so that you barely notice it is there and actually feel like you are missing something without it. I promise… this is coming from a chronic non-wearer that has been converted. Some people have stronger gag reflexes than others. I didn’t know this but Dr. Loev just told me that your gag reflex is actually mostly in your head and often a controllable mental thing. With a little time you can overcome the vast majority of your gag reflex. Yeah right! Honestly, not only have studies shown this over and over but we have seen this on our office with many patients and even with one of our team members who we at one point struggled to work on. We tried every trick with her for a long time. At one point we even resorted to giving her medication to relax her, nothing worked. Until a patient of ours who was a yoga instructor and naturopath showed her how to deeply breath and relax herself. It didn’t immediately help but after repeated trying and focusing on relaxing and deep breaths and short adventures into her mouth. She is now one of the easiest patients to work on. In fact we have to be careful with her now because she often falls asleep mid procedure and has given some teammates a few nips. Try putting your appliance in during the day for short periods of time and work on relaxing. The key is to breathe deeply through your nose and relax your entire body. Once you get comfortable wearing it for short periods during the day, you can start wearing it at night. Gross… wet pillows are not for me you say. I know, I know! Very unattractive, we agree especially if you sleep next to someone else. And? The drooling is temporary. Once again the power of our brains come into play. Our mouths are used to only food entering them; when a foreign object enters they react by producing extra saliva. Once your brain gets used to this new appliance it will stop your body from producing all that extra saliva. Agreed, dental night guards are not the sexiest things. Neither are cracked teeth, ground down teeth and inflamed gum tissue. I know it sounds like a dentist trying to scare you, and it kind of is but it is also true. Repeated clenching and grinding of ones teeth and TMJ (temporal mandibular joint) can not only damage teeth but for some cause terrible head aches and even for some neck, back stiffness and pain. While we totally agree that nobody feels very attractive wearing a big piece of plastic in their mouths when going to bed, the alternatives are usually worse. If your partner comments on your appearance, get a new partner… just kidding but tell them how it’s helping you and your teeth feel better and they will probably just get used to it. Or wait till they fall asleep to put it in. Is this the first one that actually applies to you? That’s great! You put it in, it is comfortable you fall asleep… and then it’s gone in the morning. Hmm… As you get out of bed, you notice it halfway across the room, on the floor under your pillow or even the nightstand. Apparently you woke up in the middle of the night, took it out, and got rid of it all without even knowing it. You know what I’m going to say. Yep, give it some time! Your mighty has come into to play again with the help of your body this time. Once you start to forget it is there you’ll stop taking it out at night. If you’ve worn your appliance consistently for 2-3 weeks and still can’t get used to it, it is time to look at other options. If you’re wearing an over the counter night guard that you had to boil and bite into in order to form it, you should really consider investing in a custom night guard. The drugstore versions are fantastic cost-effective solutions as they usually run about $25 versus the $400-700 but they are often very bulky. They can also be fairly heavy and because they are not custom fit they often loosen over time and can be uncomfortable. Another option for design is to use a thinner material. Some of our patients have been really successful wearing their bleaching trays but couldn’t get used to wearing their night guards. So wear the bleaching tray at night to help protect your teeth. They aren’t as protective and chances are if you are really a clencher and/or grinder you will bite through the bleaching tray 6-9 months and require another one. But talk to your dentist about this and see if maybe they can give you an extra deal on making multiple bleaching trays at the same time so that you can have the added comfort but not the burden of increased replacement costs. 1: You can do it! I overcame my aversion to night guards and San Francisco Dentist Dr. Ed Loev and my teammates and I have helped many people do the same thing. If you’ve gotten nothing else out of this article, remember that if you keep wearing it you will eventually get used to wearing it. Many people tell me that after wearing a night guard for years, they can’t sleep without one because it feels strange! #2: Give it at least 2-3 weeks. 2 weeks is about the average amount of time it takes to build a permanent habit.